Cognitiv’s groundbreaking neural network technology is far ahead of other machine learning companies offering deep learning services. NEW YORK, NY Feb. 17, 2016 – Cognitiv today announced that Dave Antonelli has joined as its first Chief Revenue Officer. 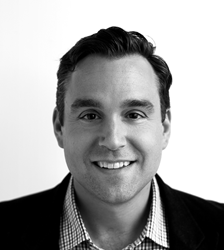 Antonelli will lead sales and marketing, reporting directly to Cognitiv CEO and Co-Founder Jeremy Fain. Using the newest advances in neural networks and deep learning, Cognitiv is able to deliver products that can better predict actions and outcomes than older machine learning technologies. At SessionM, he rapidly rose through the ranks over 4 years, playing a lynchpin role in developing a concept into the world's leading mobile loyalty platform. He was first brought on to build the east coast sales team from scratch, closing the company's largest deals in its history. He was soon elevated to oversee sales and strategy for the team nationwide, achieving 54% national growth in revenue in one year while also driving a 32% increase in average deal size. At Viacom, he led the development of several of the company's top multi-platform partnerships with key accounts, agencies and holding companies. Over the course of six years and multiple role elevations, he built a reputation in the industry that earned him a national IAB Sales Excellence award. At Live Nation, he ideated and packaged partnership concepts for Fortune 500 clients tailored around their unique brand objectives. His expertise in marketing solution development positions him ideally to lead sales marketing for Cognitiv's powerful offering. Cognitiv helps companies tackle their biggest, most complex problems by building solutions that make accurate, automated decisions. The company’s deep learning platform enables the scaled development and training of neural networks that customize themselves to the needs of clients. In advertising, that means giving buyers of programmatic media individualized algorithms that constantly learn and adapt over time and across a client’s campaigns. By delivering continuously improved results, Cognitiv helps its advertising clients find new efficiencies where other technologies have plateaued. In other areas, like health and publishing, Cognitiv is building products to help companies predict human actions and better serve their needs. Founded in 2015, Cognitiv is a machine learning company focused on deep neural network applications. It is the first to offer a platform and products applying deep learning to improving programmatic advertising outcomes. Cognitiv is following its success in advertising by developing new product lines for a diverse set of industries, including pharmaceutical, healthcare, and publishing. Cognitiv is headquartered in New York City. Also find Cognitiv on Facebook, Twitter (@teamcognitiv), and Linkedin.